‘Impossible’ is a word used to describe many situations in life, yet time and again the ‘impossible’ has proved to be anything but. Running a mile faster than 4 minutes, travelling to the moon, even flying; all of these were once regarded as impossible, but against the odds, all have been achieved and today are taken for granted. 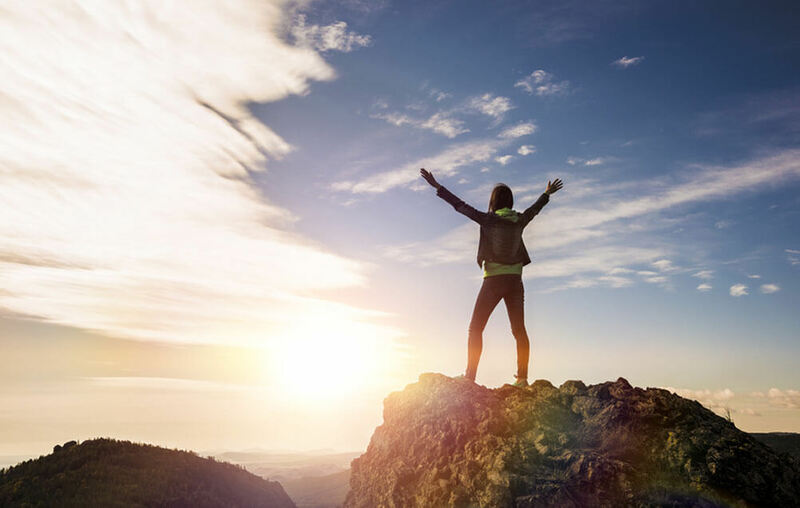 We are going to take a look at the odds against achieving various other seemingly impossible feats, and you may be very surprised when you discover the real odds of success! What if I told you that there is something which has odds against of 80,658,175,170,943,878,571,660,636,856,403,766,975,289,505,440,883,277,824,000,000,000,000 to 1, but which you can do yourself right now. Don’t believe it? Okay, take a pack of cards, shuffle them well and then spread them out in a line, face up. The odds against your revealing the exact sequence you are looking at now are the odds just stated above – but it still happened! As you will discover, there are plenty more examples of odds-defying phenomena where the impossible becomes very real. Think about the number of eggs you have eaten in your lifetime – how many of those had a double yolk inside? Quite possibly you will answer ‘none’, and so you may be surprised to find out that the odds against this are a ‘mere’ 1,000 to 1. What’s more, the odds against finding more than one double yolk in the same box are less than you may think, as chances are the eggs came from the same flock. How about trying to flip a coin so that it comes up heads ten times in a row? Try for yourself to see how close you can get. Give up? Not surprising, since the odds against are 1,024 to 1 and you probably have better things to do with your life. Magician Derren Brown managed to perform the feat on TV, but what he didn’t broadcast was the 10 hours it took for him to finally get 10 in a row. The real magic was his managing to act like it was the first time he had attempted the feat! The odds against being born, and you being you, are pretty much long enough to make your very existence an impossibility – and yet here we are! What about the odds against giving birth to twins or triplets? Well, in fact the chances of this happening are just 67 to 1, and these odds go down even further if the mother happens to be over 35. If IVF is used then the probability of having twins or triplets is even greater. And how long can we expect those twins to live? Believe it or not a baby born this year in a so-called ‘developed’ country has a 1 in 3 chance of living to be 100. For the sake of comparison, according to stats from the UK Office for National Statistics a 30-year-old man has a life expectancy of 87, while a 30-year-old British woman can expect to live until 90. In the US women account for 82.8% of individuals aged 100 years and older while men make up just 17.2%. Whoever said that it was easy being a man! Apparently about 40% of us sitting on any given flight are worried that the plane is going to crash, which probably explains why everyone seems to be drinking so much! However, the real odds of such an eventuality suggest that we should probably relax a little bit. The odds against being in a plane crash are an unlikely 1.2 million to 1, and the even better news is that 95.7% of people in plane crashes survive the experience. In fact you should be more worried about your commute home from work, as the odds of being in a car accident are just 5,000 to one – so drive carefully! What are the odds of being hit by lightning? 10,000 to 1 is the magic number over the course of your lifetime, but that becomes a million to one in any given year. Of course this is one of those stats that is similar to the one stating you are twice as likely to be crushed by a vending machine as eaten by a shark: it kind of depends how much time you spend swimming in shark-infested waters versus angrily shaking vending machines! In the years from 2012-2016 a shocking 82% of lightning strike victims were male, mainly because men seem to spend more time outdoors. Golfers are (unsurprisingly) among the most at risk, since they spend a lot of time wandering through open spaces waving metal rods around. Speaking of golfers, what of the Hole-y Grail (sorry) of the ‘game of kings’: the hole in one? The odds of a regular hacker managing this feat are a lengthy 12,500 to 1, so make sure that your mates are there to witness the feat as it’s not likely to happen again. A tour professional has a much better shot – in every sense of the world – which is why they have more reasonable odds of 2,500 to 1 against making a hole in one. Tiger Woods notched his first ace at the tender age of six, but despite that early head start even he hasn’t matched the 51 hole-in-ones nailed by journeyman pro Mancil Davis over the course of his career. For most of us the prospect of making a strike in bowling is far more likely than hitting a birdie in golf. However, bowling the perfect game – requiring 12 strikes in a row – is a stiff 11,500 to 1 against. However, the difference between pro bowlers and pro golfers is pretty - well - striking, as the pro bowlers have a 460 to 1 shot at making the perfect 300 score. The odds of becoming any kind of pro athlete vary dramatically according to the sport. For example, an American high-schooler who plays ice hockey has a 1 in 598 shot of making the big leagues, whereas a female basketballer has a less optimistic 1 in 13,015 chance of a pro career. What Are the Odds of a Lottery Win? The immediate answer to this question is: ‘Depends on the lottery’. For example, the lottery which gives you the best shot at taking home the jackpot is the Polish Mini Lotto with odds of a mere 850,668 to one of winning a top prize which starts at €70,000. However, the lower tier prizes on offer from lotteries should not be forgotten, as these can make quite a difference. For example, the French Lotto is one which may not occur to many, but which gives you a 1 in 6 chance of landing a prize. Our tip for a lottery worth trying is the little-known Swedish Lotto. Why? 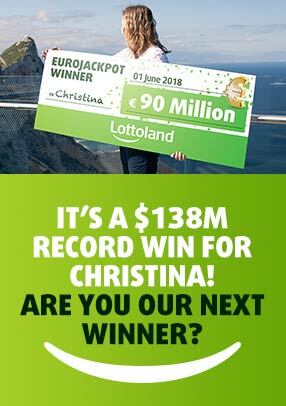 Well, for one thing it's jackpot odds of 6,724,520 to one make it one of the best value lotteries around, but it's even better value when you consider that its record jackpot was an amazing €25 million plus! Hopefully if you've taken anything from this article, it's that long-shots come in every day and that however it may appear, nothing is impossible! Against the Odds: What are the Chances?